Receive 10% OFF the quoted price on all custom design orders from now through August 1, 2013. Every customer who completes the custom design request form and moves forward with his/her custom design order by 12:00 noon CST on August 1, 2013, will receive a 10% discount off the quoted price. 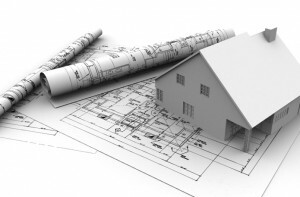 Anyone who completes and submits the custom home design request form before 12:00 noon CST on August 1, 2013 will be entered in a drawing for a $1000.00 credit toward his/her custom home design order or reimbursement of up to $1000.00 if the custom design order has already been completed and paid in full. Please note: The prize has no cash value and the award is non-transferable. In the event that your custom plan costs less than the $1000.00 prize and, after being applied or refunded, there is a portion of the prize credit remaining, the balance can be applied toward future custom plans. However, any remaining balance cannot be applied toward additional or optional services, such as site planning, materials lists, etc. The drawing for the $1000.00 credit will be held in the afternoon of August 1, 2013. Click here for more details about the custom design process. The House Plan Shop wants to help you kick off the New Year and your 2013 home building project with terrific savings! We are offering a special promotion for the purchase of house plans on January 1st, 2013. This deal is available to our Facebook friends, Twitter followers and blog readers. Simply order your home plans on January 1st 2013 between 12:00am CST and 11:59pm CST and enter the promotion code below to receive $40.00 OFF your initial order for house blueprints. This promotion code is not valid with any other promotion codes. It is not valid for blueprint package upgrades. Valid on January 1st, 2013, only.